Update 9:40 p.m. Washington County Metro SWAT has peacefully apprehended the male suspect, who is currently in custody awaiting charges. Hurricane Police say all those asked to stay indoors can now safely go outside. 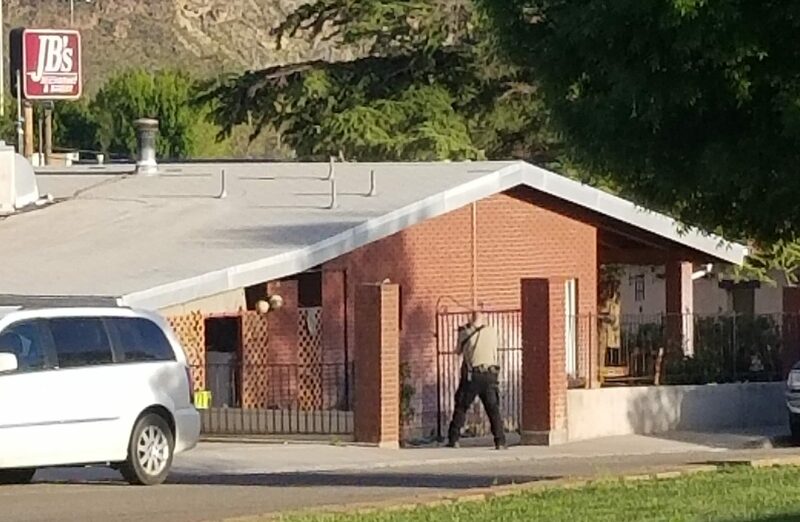 Residents in the area contacted St. George News to report a large police presence, including officers with guns drawn toward a house. Hurricane Police officer Ken Thompson said police were pursuing one suspect in a stolen vehicle who got out of the car and ran into a home in the area. After refusing to exit the home for approximately three hours, the man surrendered to police at about 9:30 p.m.